Today is Earth Day. It is the 44th time that we celebrate this planet that we call home. 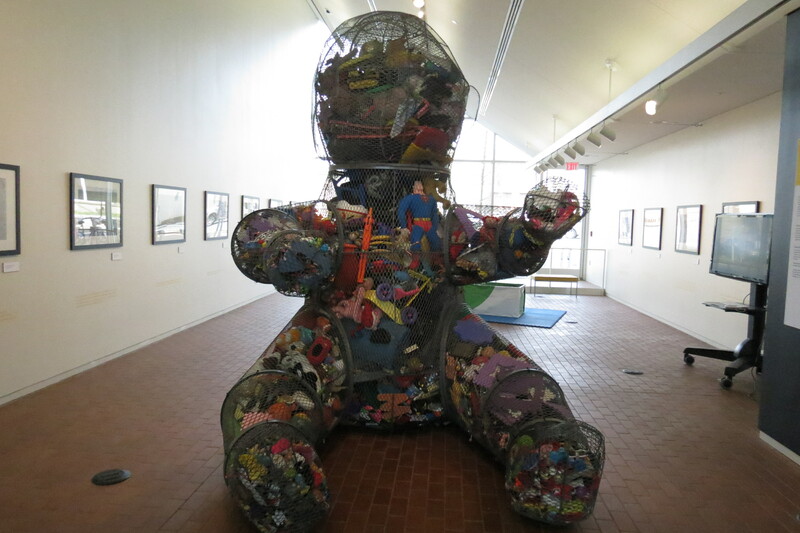 The celebration started in 1970, and is the brain child of US Senator Gaylord Nelson. Nelson asked Denis Hayes to organize a day of awareness, on April 22nd, and by the end of 1970, the U.S. Environmental Protection Agency had been established, and efforts to improve air and water quality were gaining political traction. Today is a time of celebration, of love for our little speck in space. And it is a lovely speck, there are some quite beautiful places to see and experience dotted across the surface. 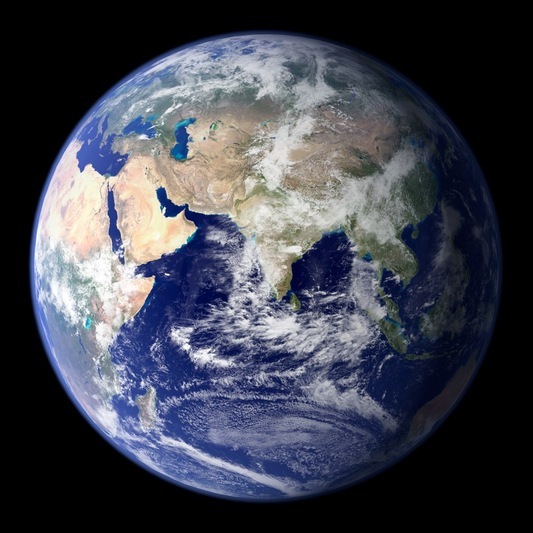 This year’s Earth Day boasts an organization that includes more than 22 000 organizations and hopes to conduct 2 billion acts of awareness and improvement. It is an education day, that has green schools and a Leadership Center. Why not have a look at the organization’s website, and look around your little piece of the speck to see what you can do to raise awareness of the problems faced by our world and maybe plant a tree, collect some plastic for recycling, weed an invasive species or get into a debate with your kids? There are plenty of opportunities! In this post I would like to continue my review of the Integrated Network for Social Sustainability (INSS) meeting in Charlotte, North Carolina. As I mentioned in last week’s post I was fortunate enough to have been selected to present a poster as part of the Saturday afternoon poster session. Further details of the poster and the full abstract are available here, and I was pleased to see many other interesting topics that readers may find worth thinking about. An array of presenters from many disciplines addressed issues as broad as earthquake risk analysis, teaching sustainability in civil engineering, promoting ethics, culture and community based research and a very interesting permacuture collective run with the aid of students and staff of Ball state University. Read an outline here. The poster session sat within a large and varied program that included an art exhibition called Sustain me Baby, that included a giant model baby filled with plastic toy trash and photos of dead baby albatrosses, and various installations placed throughout the city representing the problem of plastic waste. See the Keeping Watch website for further details. The meeting started on Friday with a tour of sustainable manufacturing, that included a visit to a brick works owned and operated by Boral. The Boral website goes into the detail of their sustainable design frame, but the thing I found most interesting about the factory was the fuel used to heat the kiln. Boral buy waste sawdust from local saw mills, have an in-house grinding and drying process for the dust that they then use as fuel for the kiln. This has brought costs down dramatically as well as providing a market and use for what is essentially a waste product. The tour was followed by a dinner presentation about aquaponics. This is a system for growing vegetables that relies on using a fish pond and a series of pipes to produce large volumes of vegetables in a relatively small area. The plants grow in pipes fed by the pond water, while the fish provide the nutrients through their excrement. 90% of the water is reused, as the plants remove the nutrients as the water passes so it can be pumped back into the pond in a continuous circuit. Ron Morgan wove a fantastic story around his project to build gardens in both North Carolina and Haiti, recounting tales of homeless genius, chance meetings and ordinary people leaping into the unknown at the drop of a hat (Sam Fleming for one). Read this article for an outline of his ideas, it is quite an incredible and moving tale. There are plenty of videos on the web that demonstrate how the system works and how you can build one for a few hundred dollars, start by taking a look at this presentation on Youtube. Ron’s partner Sam Fleming explains the system. He was also on hand to describe the technicalities on Friday evening, and the pair were great entertainment and inspiring. This type of system really does appear much more efficient than modern industrial production methods, and is readily transferable to inner city production. Ron spoke of his experiences of transferring this system to the earthquake hit island of Haiti, and ideas of how to use the massive quantities of food that it can produce to feed populations that find themselves living in food deserts for any number of reasons. The conference Keynote Speaker was Julian Agyeman. Readers should take a look at his website for a full description of his work, as it is broad and immense. This was a hard hitting delivery, in which he outlined his concept of ‘just sustainabilities’ and argued that “integrating social needs and welfare, offers us a more ‘just,’ rounded and equity-focused definition of sustainability and sustainable development, while not negating the very real environmental threats we face” (taken from conference notes). His focus on social justice led to a call to read sustainability from a broader standpoint, and asked some questions and raised some issues about consumption and justice that many here in the so called industrial world might have difficulty reconciling. Saturday also included a series of case study presentations, with representatives from SMART CN Project, the National Academy of Engineering, and Habitat for Humanity presenting about their work. They all do interesting stuff. The day closed with a panel discussion entitled Art, Manufacturing, Sustainability. Sunday started with presentations from virtual attendees, demonstrating both the possibilities and problems that virtual attendance offers and poses. After another session of working group reporting came a session on network engagement tools, before assessment and adjournment. I had a great time as I think did everyone else. The conference was well organized and there were a wide variety of interests and fields represented. I made a lot of new friends and learned a lot. This weekend I am going to the Integrated Network for Social Sustainability Annual Meeting in Charlotte, USA, where I will present a poster co-produced with anthropologist Cristina Grasseni. The poster title is Food Sovereignty and Social Sustainability Through Solidarity Economy Networks, and it fits into a meeting whose focus is to prioritize challenges for social sustainability. Our poster presents work-in-progress insights into solidarity economies. We are looking at provisioning activism, or different ways people go about sourcing and buying the products they need in their daily lives. If you read my food series you might have seen references to this work, particularly the review of Cristina’s book about Italian food provisioning networks. Through the poster I will be talking about groups of people who get together and form collectives or food coops, or run urban community gardens or community-supported agriculture. Other projects also include the development of small workers’ cooperatives with ambitious plans to create “green” jobs for marginalized youth in post-industrial wastelands. These groups are organizing themselves in an attempt to replace supply chain consumerism in many fields with locally controlled networks. Although it was initially limited to food, “provisioning activism” increasingly focuses on clothing, IT, renewable energy, green construction, recycling, mutual insurance, cooperative credit and local currency exchange. Here in Massachusetts for example we have the town of Worcester that acts as an informal focus point for groups that produce and distribute food, invest in locally owned and produced solar energy and are constructing a bio-fuel plant where they can produce bio-diesel from used vegetable oil collected from local restaurants. There are other examples in the energy sector, take a look at this post I wrote years ago about a similar plant that opened in the UK. Sundance Renewables is the name. And this is not just a fringe market. The main energy coop in Worcester takes $1.3 million a year in income, while in Italy a loose network of solidarity buying groups spends about 80 million Euro per annum, mainly on locally produced food. The meeting also includes a tour of Charlotte’s renewable energy manufacturing base, so I should discover a lot more about this sector of the economy across the USA. I will report back next week. As a continuation of my food series, I would like to take a look at alternative food provisioning networks, via a review of Italian anthropologist Cristina Grasseni’s new book ‘Beyond Alternative Food Networks’. The book describes strategies used by groups to avoid interaction with the industrialized food mechanism, much of which I have debated in the other posts in the series. Grasseni’s book gives an account of the inner workings of Italy’s solidarity purchase groups. These groups are informal collections of families, working together to procure food and other products from mainly local producers in order to reclaim sovereignty over their purchasing. 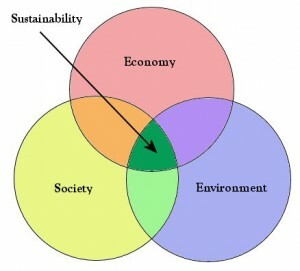 The model is extremely innovative, both in terms of its positive health and social benefits and financial implications. Groups make agreements with local farmers to buy their produce in return for guarantees regarding production processes (organic, tax paid, worker’s rights etc). The producer benefits because they can sell their produce directly to the consumer, and so is not held hostage by distributors and retailers. The consumer gains because they know who has produced their product, how, where and under which conditions. Group members can buy hygiene and baby products, detergents and a range of household goods through the network, offering a source of income to specialist socially and environmentally friendly producers. Although this system might sound like a Utopian fringe, Grasseni points out that the groups spend about 80 million Euro a year in Italy alone (about $110 million), in effect moving this sum from the regular economy into this more direct exchange. The number of groups is in rapid expansion and has led to the creation of networks of groups, national conferences and organizations and even the creation of ‘districts of solidarity economies’. The book argues that this alternative economics structure is trust based, with all parties within the transaction knowing and directly relating with the others. Several organizations work entirely within the structure providing goods only for the groups. The following examples of the dairy and the shoemaker really show the potential of the model. In 2009 a local dairy farmer converted to organic production in order to supply these groups. This involved downsizing and specialization, but several years later the farm found itself in financial difficulty. Members of the groups ran an email campaign and in about a month raised 150 000 Euro (more than $200 000) to bail the dairy out. The money was passed on, the dairy survived and now produces milk and cheese for the very same groups that saved it. With the banks no longer involved, the farmer can sell the produce at retail prices directly to the groups and make enough money to live and repay the initial bailout loan. The story of the shoemaker is similar. After being forced into downsizing the shoemaker was left with capability but little market. He withdrew from the mainstream economy and now provides made to measure shoes through the network. There is a traveling catalog, so once found you can choose a style and size and order your new shoes that then arrive through the post. They are also sold through a network of non profit organizations that have relationships with the groups. This book certainly leads the reader into a new way of thinking about food production. The cover contains a quote from Peter Utting, Deputy Director of the united Nations Research Institute for Social Development. He states that “Grasseni provides fascinating insights into how alternative approaches to food provisioning can transform social and economic relationships in ways that bode well for contemporary global challenges of sustainability, social justice and rebuilding human relations built on trust”. Rete Gas is the Italian national GAS network. The Food Alergy and Anaphylaxis Network has a dedicated page. The Grassroots Innovation website also has plenty of information. 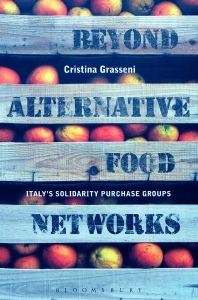 Beyond Alternative Food Networks by Cristina Grasseni is published by Bloomsbury and available through Amazon via the link above. I would like to add that although this review is not paid, I do know the author very well. I am also a GAS member.